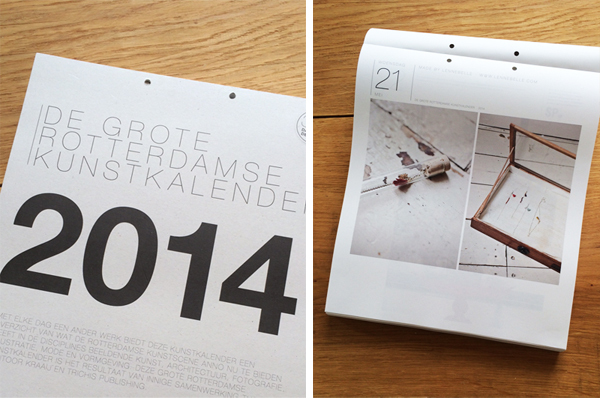 Proud to be named in the Big Art Calender of Rotterdam 2014, filled with artists from my howetown! Having more focus and knowing better what my priorities are also meant a better time management and realizing that I had to skip some things that are really so much fun to do but are too much. For example minishop Confetti, I put my heart and soul in this project in 2012 and loved creating the look, coming up with a name, getting all the great small labels together. For me it felt I had all the items that I really find beautiful, in one place. It took me some time and a lot of convincing from my better half to take the step and let it go. So hereby I want to thank all the designers that participated for their enthusiasm and joining my shop! Confetti has stopped but you can continue shopping all the pretty handmade products via their own websites or at other shops. Today is my birthday and I took some time to look back at last year. 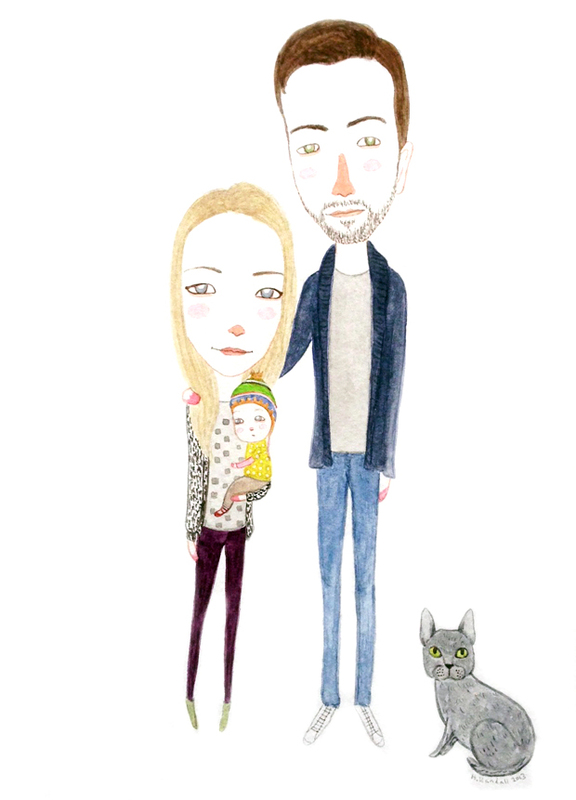 It was crazy, a love explosion when our daughter was born, a new life, a new perspective. I adore every minute and have more focus on my priorities nowadays. Which is a good thing and lead to a new ‘business’ approach as well. Lennebelle got a beautiful make over made by the wonderful illustrator and graphic designer Hyshil and I recently launched the new collection. 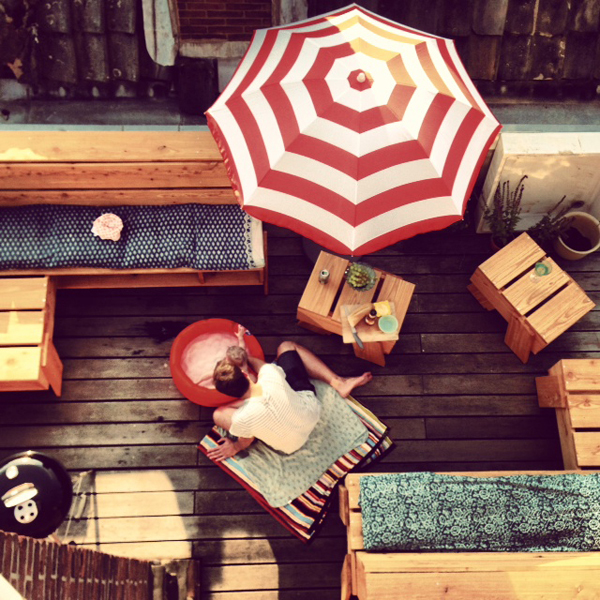 It’s summer in the city and finally we finished our rooftop terrace. We can enter the terrace from our bedroom and it has sun all day long. The perfect spot for relaxing, reading, working (why not), playing & bathing Mette, having a bbq with friends or morning coffee! The furniture is custom made by Guido Marsille. It’s like Tetris, you can move it around any way you want. We can also make a huge day bed by connecting both benches and little tables together! Last but not least I love our terrace to be a green spot in the middle of the city. I try to grow Clematis from the drainpipe and there will be a big planter from 2,5 meters on the left side where I want to grow a small home garden with vegetables. I am not so good with plants, not the owner of a pair of so called ‘green fingers’. 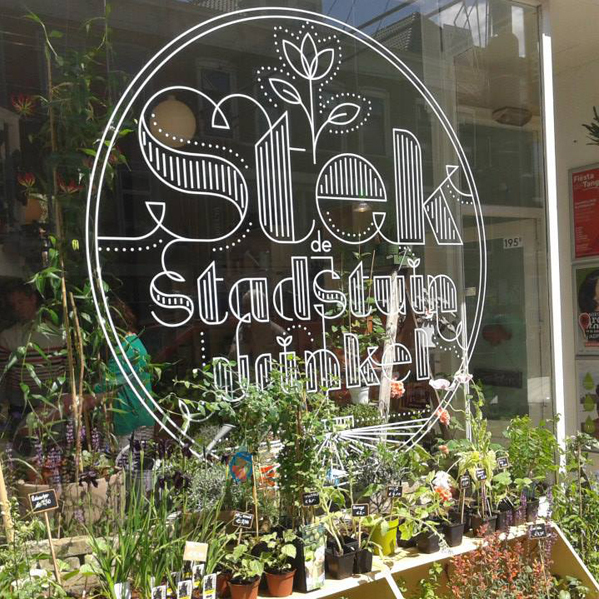 I was so happy when I discovered we have a ‘City Garden shop’ in town called ‘Stek’. They are here to make the city a greener place and to give advise and inspiration. Can’t wait to find time, go there and plant my lettuce and carrots! (Will be fun together with Mette in the future. Lennebelle celebrating her three year anniversary! I am working on a new collection for Lennebelle. My jewelry brand exist three years now. I never thought I would be a jewelry designer. It all happened so naturally and I love how itdeveloped over time in a more and more serious business. I am enjoying every part of it. Making and creating all the items, contact with the customers and shops, deciding on the look/styling of it all. This summer two nice shops in the Netherlands will be opening, both are cafe-shops, places where you can shop and enjoy a nice coffee with a piece of homebaked pie. I love these kind of shops. 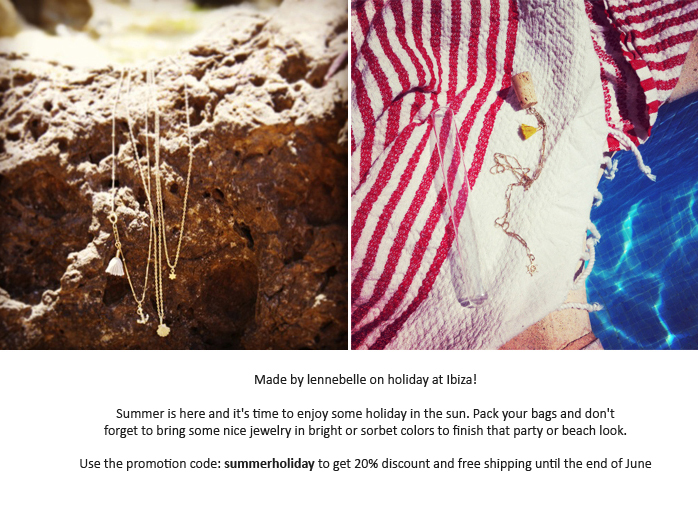 Made by lennebelle on holiday at Ibiza! 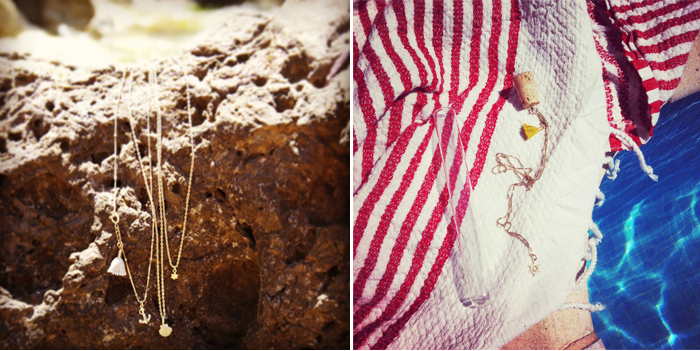 forget to bring some nice jewelry in bright or sorbet colors to finish that party or beach look. 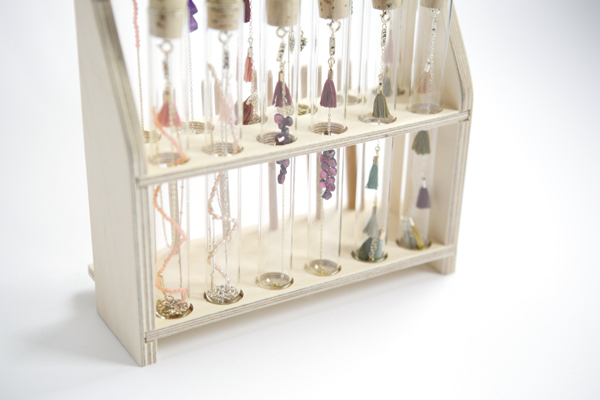 Our new online shop is filled with new silver and gold plated items using precious gemstones in new colors. This is a ‘behind the scenes photo’ of a ‘real’ photoshoot at our place two weeks ago. Mette her nursery was photographed for Dutch magazine ‘Ouders van Nu‘. 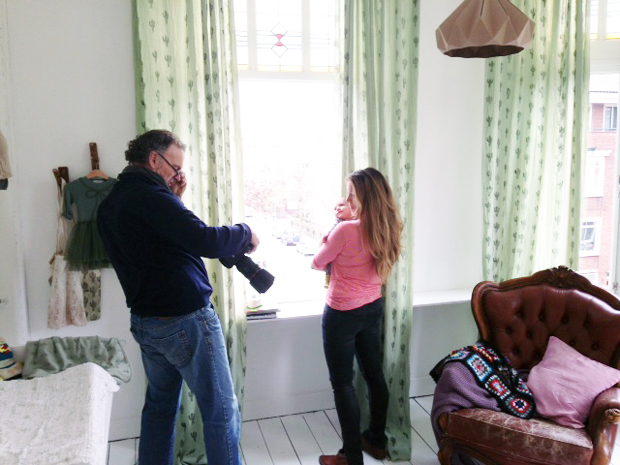 It was nice having stylist Marieke from Pimpelwit and photographer Renee at our place for the photoshoot. It will be published in the august issue. I am curious about the final result. We made a lot new friends lately! 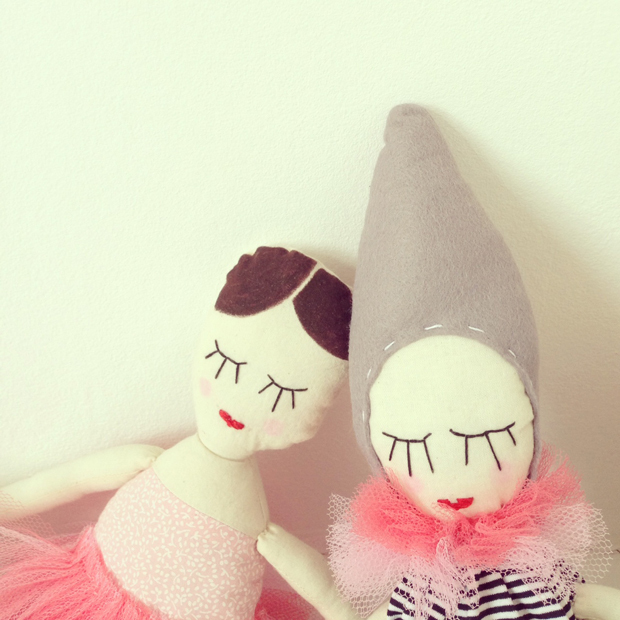 We have got of course Sophie the giraffe, but also Mabel the giraffe (from Miga de the Pan available at Confetti) Apie the monkey, an owl, a whale, an elephant, the ‘I love you to the moon and back’ bunnies, Artis the Partis and now this cute couple joined the gang; ballerina & Pierrot! They are so pretty don’t you think? They are made by stylist Sophia Smeekens. She makes beautiful dolls like these. I am an Instragram addict (my love told me so) and that is how I met Sophia and her work and asked her if she wanted to join my exchange project. I was so happy! And in the future I would love to have a doll with clothes made with the fabric from Mette’s jumper she wore the first day when she was born. 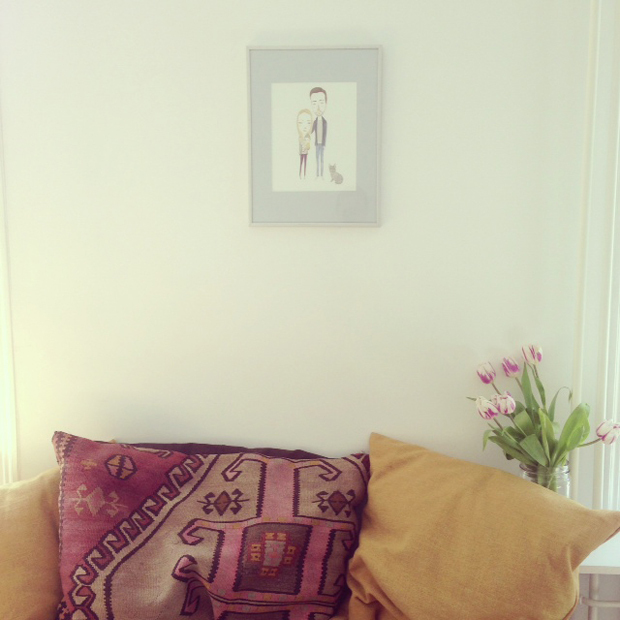 Here you can find Studio Escargot and here her Etsy shop and of course the FB page. Soon available in the new online shop. Busy to get everything finished and show you all the new items!